What does the workplace of the future will look like? Work-life-balance is outdated, now everything's about work-life-integration. Life and work aren't separated anymore, they form the whole. Thus the effect is an expansion in more creativity in work and life not forgetting the person behind an employee. 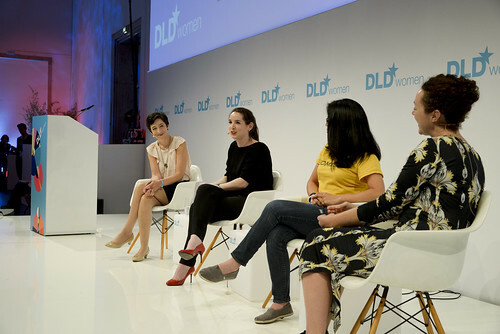 Stéphanie Tramicheck, Pinterest's country manager in France, Maelle Gavet, CEO of OZON Holdings, and Adora Cheung, founder of Homejoy talked about balancing their daily jobs and their private life. For all is creativity the key to success. A creative workplace environment helps to get open-minded or becoming better. There's a need to be creative, to think out of the box, especially in small environments. Be super creative or be super flexible, which leads to creativity. "What you learned yesterday is not necessary what you need tomorrow", Maelle Gavet about flexibility and creativity. Industries allowed women to spend more time in creative work than in housekeeping. Take your time to do what you like. Housekeeping can be done by people who like to do this for you - and much better. This is what "Homejoy" stands for and Adora told us, she trained herself to sleep only 3-4 hours a day to have 25% more time for random things than others. She started with 7 hours of sleep and decreased it every week. Just 10 minutes every week helped her to train her body and she's not doing naps, she promised. But: The flexibility of tech is an illusion. You're getting the flexibility to work 24/7. Life and work aren't separate anymore. 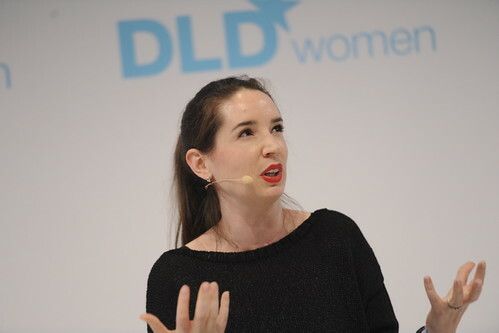 But if you are able to keep the connection to your partner in life and love your job, Stéphanie explained, you are willing to work more and flexible, not 9 to 5. The agile system of the changing work place makes it possible. If you have energy, passion, if you are intelligent, and think out of the box, you can now have the best time of your life and have the dream job. And there are no coding skills needed - you only have to be a problem solver. If you can find out what's wrong in your environment, what can be done better, what should be changed and how can it be changed, than you are perfectly creative and flexible for the market. Always keep your curiosity, your capability to fall back on your feet, and the ability to learn and to create.